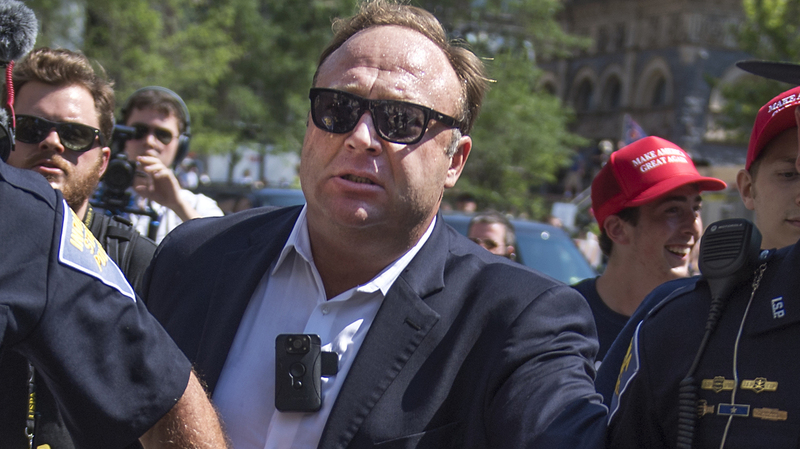 Alex Jones, Infowars Content Banned By YouTube, Apple and Facebook Alex Jones' Infowars site accused the companies of censorship. Apple said, "We believe in representing a wide range of views, so long as people are respectful to those with differing opinions." Alex Jones and his Infowars channels have been removed from YouTube; Facebook and Apple's iTunes have also deleted most or all of his outlets on their services. He's seen here being escorted from a rally near the 2016 Republican National Convention.